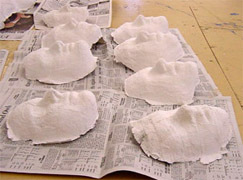 This special project is one that students chose to do during the late fall of 2001. 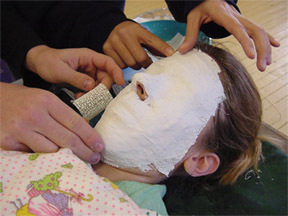 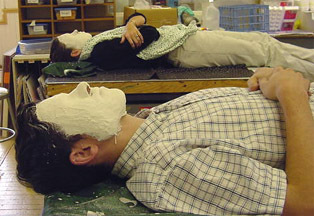 They created plaster gauze masks of themselves, and mounted them on 12 x 18 inch pieces of 1/4-inch plywood. 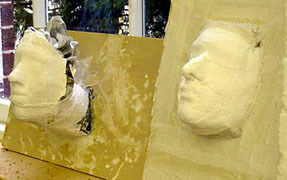 Students were able to finish their masks in any way that they wanted, using a variety of materials. 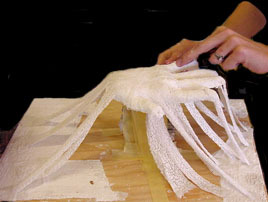 We use and recommend this plaster gauze sold by amazon.com!